The companies that I work with vary in industry, geography, structure, and budget size. What they all have in common is their desire to deepen their impact by creating positive sustainable change. Barrier: "I know what I want the end result to be, but I am not clear on how to get there." Strategy: Based on years of experience developing and scaling programs and services, I can work with you to develop a road map that will bring your vision to fruition. Vision: Establish the vision of success. Consumer/ Community Need: Assess the need within your impact area. Financial Goals: Determine fiscal milestones. Priorities: Define priorities, based on vision, need, finances, and resources. Action Plan: Create projects and tasks, based on identified priorities. Barrier: "We are rolling out something new and don't know how to get people to change the way they do the work." Strategy: Whether you are rolling out a new program, changing the way you do business, or implementing new systems of efficiency, communicating and implementing change can be difficult. We can work together to create a strategy that will help your staff successfully navigate through the change. Internal Communication & Branding: Develop a communication strategy and guidelines that clarify what success looks like after the change is complete. 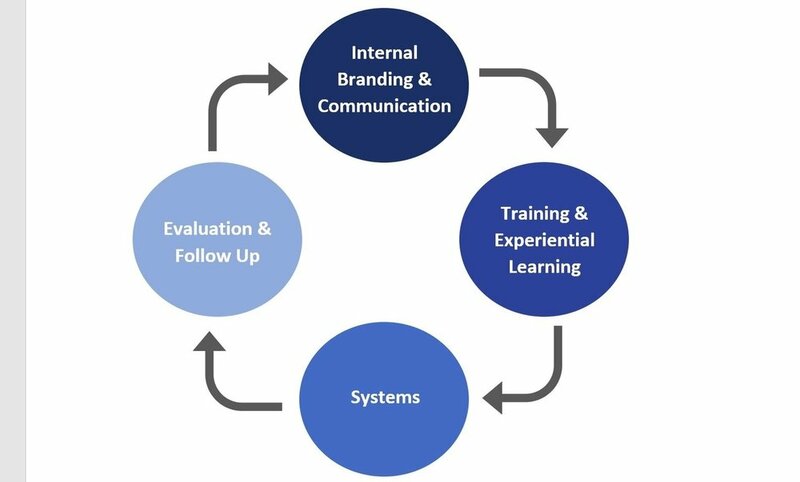 Training & Experiential Learning: Host interactive trainings to help people understand how to implement the new program/ system/ service successfully. Systems: Ensure that interdepartmental systems support the desired change. Evaluation and Follow Up: Monitor the change management process and tweek, reenforce, and redesign as needed. Barrier: "I'm not sure if my leadership team is able to take us to the next level." Strategy: By understanding what barriers are getting in the way of individual team members, we can develop a strategy for addressing those barriers and focus on building a successful team. Knowledge Gap: Individuals do not have the necessary knowledge to move the work forward. Skill Gap: Individuals do not have the skills or experience necessary to advance the work. Capacity Gap: Portfolio size and available resources make it difficult for individuals to have the desired impact on the work. Discipline Gap: Individuals lack the will or discipline to manage their portfolios successfully. Barrier: "Our programs and services are not high quality or no longer meet the needs of those we serve." Strategy: Through assessment and evaluation, we can determine the needs of your constituents and the unique value that your organization brings to the table. We can develop a model that meets those needs through high quality, sustainable, and scalable programs and services. Assessment: Identify the internal standards and practices, the needs of those you serve, and the best practices in the field. Evaluation: Pinpoint the gaps between current practices, consumer/ community needs, and industry standards. Strategy: Ensure that the vision of success is aligned with organizational goals, consumer needs, and industry standards. Systems: Create clear systems and compliance structures that enable successful implementation of programs and services.